Non-slip flooring is important in many different environments, ranging from industrial facilities to hospitals, stores, commercial kitchens, and more. Based on our experience with all types of concrete flooring solutions, we know how to create flooring surfaces that deliver safety and durability, as well as a pleasing appearance. Federal laws like the Americans with Disabilities Act (ADA), as well as government regulations issued by the Occupational Safety and Health Administration (OSHA), recognize that non-slip flooring is essential for the well-being of employees, customers, and the general public. 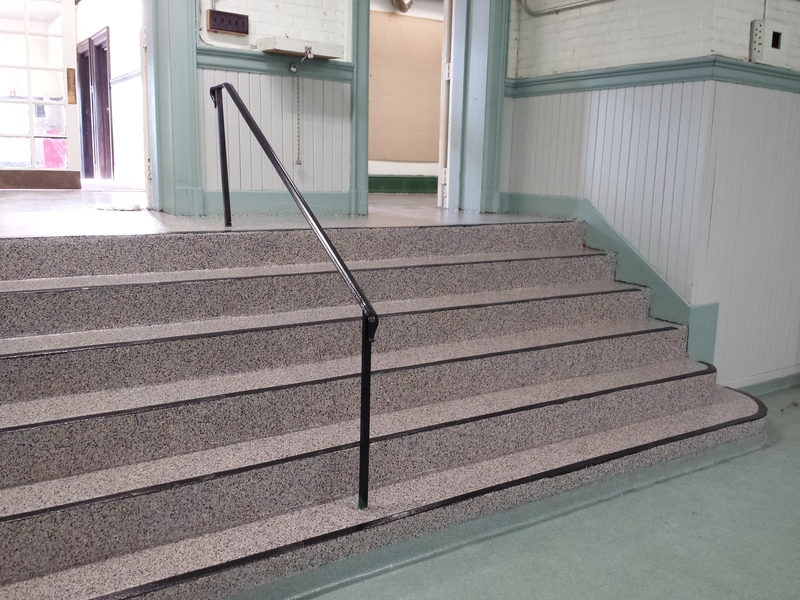 ADA requires that flooring be stable, firm, and slip resistant. OSHA is more specific, recommending that walking surfaces have a static coefficient of friction of 0.50. Black Bear Coatings & Concrete can create non-slip flooring in a variety of ways, including concrete resurfacing, epoxy coatings, and polished concrete. Mechanically grinding and flattening a concrete floor increases the coefficient of friction when compared with ordinary concrete. A common misconception is that because polished concrete is shiny and glossy, it is slippery. On the contrary, polished concrete often exceeds OSHA standards for floors. Whether you have a facility where slick substances end up on the floor or it’s simply a top priority to ensure employee and customer safety, we can find the right non-slip flooring solution that will fit your needs and budget.